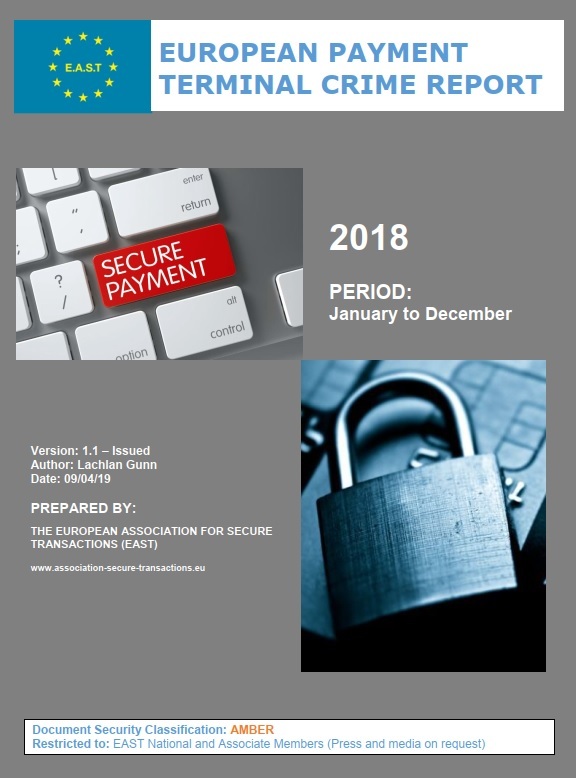 EAST has just published a European Payment Terminal Crime Report covering 2018 which reports that ATM physical attacks have risen for the fourth consecutive year. ATM related physical attacks rose 27% when compared with 2017 (up from 3,584 to 4,549 incidents). Within this total ATM explosive attacks (including explosive gas and solid explosive attacks) were down 3% (down from 1,081 to 1,052 incidents). Explosive attacks remain a cause for concern as the number of countries reporting them has risen from ten in 2017 to eleven in 2018. Such attacks result in extensive collateral damage and can pose a risk to life. Losses due to ATM related physical attacks were €36 million, a 16% increase from the €31 million reported during 2017. The average cash loss per explosive or gas attack is estimated at €17,103, the average cash loss for a robbery is estimated at €13,682 per incident and the average cash loss for a ram raid or burglary attack is estimated at €13,198. These figures do not take into account collateral damage to equipment or buildings, which can be significant and often exceeds the value of the cash lost in successful attacks. Payment terminal related fraud attacks fell 36% when compared with 2017 (down from 20,971 to 13,511 incidents). This fall was mainly driven by a 26% decrease in card skimming incidents (down from 2,556 to 1,883 incidents) and by a 66% fall in transaction reversal fraud incidents (down from 14,098 to 4,843 incidents). Losses due to payment terminal related fraud attacks fell 30% when compared with 2017 (down from €353 million to €247 million). Within these totals international skimming losses fell by 27% (down from €280 million to €205 million) and domestic skimming losses were down 44% (from €64 million to €36 million). A total of 157 ATM malware and logical attacks were reported, down from 192 in 2017, an 18% decrease. 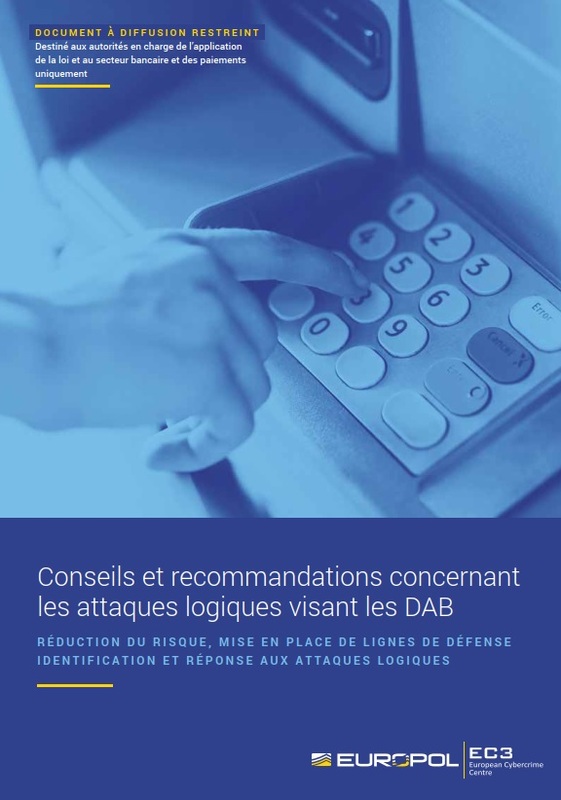 156 of the attacks were logical attacks where equipment typically referred to as a ‘black box’ is used to send dispense commands directly to the ATM cash dispenser in order to cash-out the ATM. Related losses were down 70%, from €1.52 million to €0.45 million. This new version provides clearer definitions and greater clarity of the criminal methods and techniques encountered in these attacks, and more detailed recommendations on how to mount a robust and effective response to them. Circulation of the document is restricted to Law Enforcement and to the banking and payments industry, which includes EAST Members (National and Associate). EAST has published its first European Fraud Update for 2019. 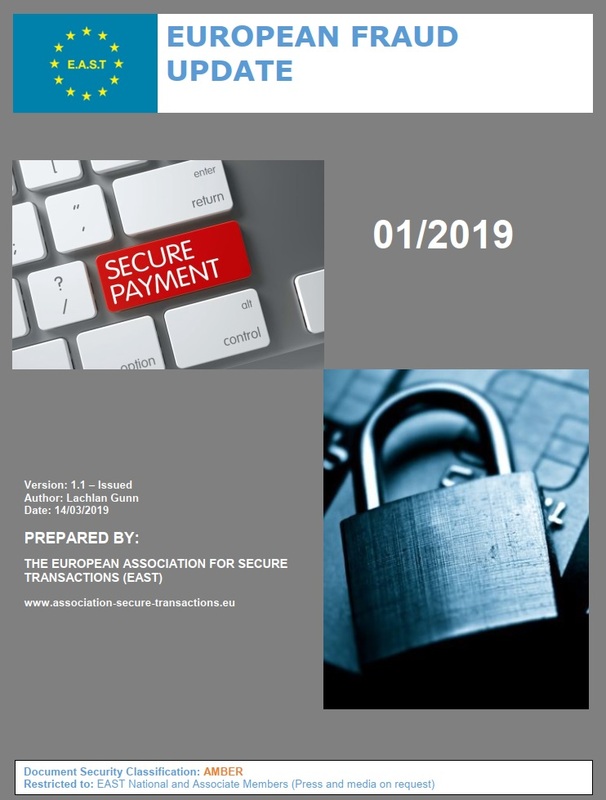 This is based on country crime updates given by representatives of 17 countries in the Single Euro Payments Area (SEPA), and 4 non-SEPA countries, at the 47th EAST meeting held in Lisbon on 6th February 2019. Payment fraud issues were reported by 20 countries. Three countries reported phishing attacks. One of them reported that the fraudsters are managing to obtain online banking credentials and one time passwords (OTPs) for cash withdrawals at ATMs, as well as managing to make minor purchases through digital payment apps. Another country reported criminals taking remote control of people’s computers and then gaining access to their bank account(s). This has led to a consumer awareness campaign highlighting that, in addition to never asking for a customer’s PIN, banks will also never ask for remote PC access to be allowed. One country reported that, since mobile operators started to implement new services, there has been a growing trend of SIM card duplication. The SIM cards of phones used for financial transaction authorisation are duplicated, ensuring that the original phone does not work. This means that the OTPs are sent to the duplicate phone, not the genuine one. ATM malware and logical attacks were reported by 8 countries. Three of the countries reported ATM related malware and one of them advised that a new malware variant ‘HelloWorld’ was found. Eight countries reported the usage (or attempted usage) of ‘black-box’ devices to allow the unauthorised dispensing of cash. To date in 2019 the EAST Expert Group on All Terminal Fraud (EGAF) has published two related Fraud Alerts. Card skimming at ATMs was reported by fourteen countries. One country reported the first use of a mini M2 – Throat Inlay Skimming Device. Two countries reported skimming related arrests. Skimming attacks on other terminal types were reported by 5 countries, three of which reported such attacks on unattended payment terminals (UPTs) at petrol stations and two reported attacks using POS terminals. To date in 2019 EAST EGAF has published three related Fraud Alerts. Six countries reported cash trapping attacks, one of them reporting that criminals continue to switch their focus from transaction reversal fraud (TRF) attacks to cash trapping. Ram raids and ATM burglary were reported by 8 countries and 9 countries reported explosive gas attacks. Nine countries also reported solid explosive attacks, and this type of attack continues to spread with 4 countries reporting such attacks for the first time. The spread of such attacks is of great concern to the industry due to the risk to life and to the significant amount of collateral damage to equipment and buildings. To date in 2019 the EAST Expert Group on ATM & ATS Physical Attacks (EGAP) has published five related Physical Attack Alerts. 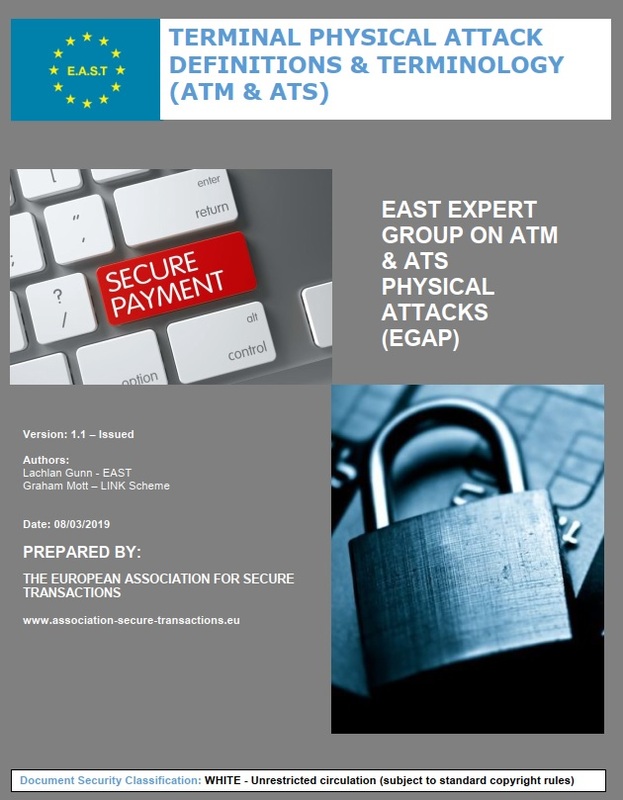 EAST EGAP has also just published new Terminal Physical Attack Definitions and Terminology to help industry and law enforcement when reporting attacks against ATMs and other terminals. These can be downloaded from the EAST website. The aim is for these physical attack definitions and terminology to be adopted globally by the Industry and Law enforcement when describing or reporting physical attacks on terminals. A copy of the document is available here. The 11th Meeting was chaired by Mr Graham Mott of the LINK Scheme and was attended by key representatives from Terminal Deployers, ATM Networks, Security Equipment Vendors and Law Enforcement. 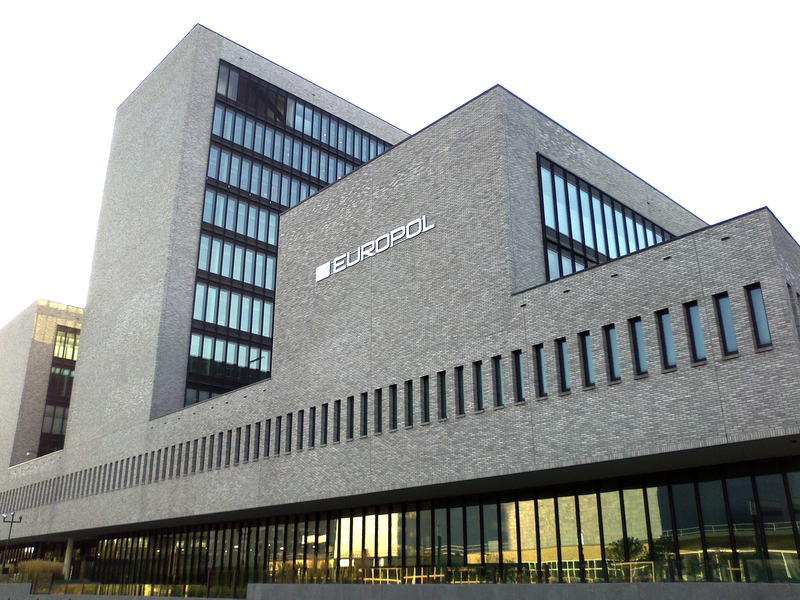 Europol gave a central assessment of the ATM physical attack situation in Europe and National Threat Assessments were shared by representatives from eighteen countries. EAST EGAP meetings are restricted to working group members and, to provide a wider platform for sharing/discussion, the Group is holding a half-day open seminar in London on 9th October 2019. Registration for this is now open and more information can be found on the EAST Events website. Contactless transactions are increasingly used as the payment landscape continues to evolve. 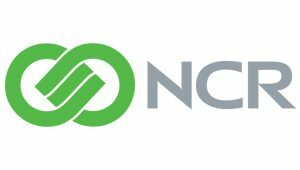 Cardholders are enjoying faster payments and the ability to pay how they want, either using a card, or NFC if their smartphone has the required app. The ability to Tap & Go is convenient for both cardholders and retailers. As no PIN is required for a contactless transaction (up to the floor limit allowed in the market), there are risks if a contactless card or NFC enabled device is lost or stolen. 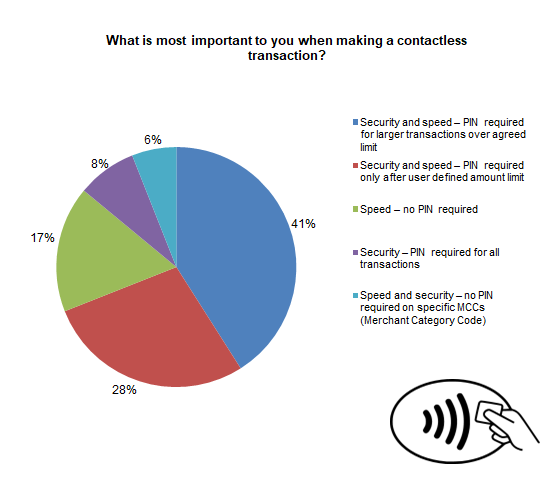 From September to December 2018 EAST ran a poll which asked the question ‘What is most important to you when making a contactless transaction?’ The results can be seen in the chart below. The majority of the respondents felt that ‘security and speed’ was most important – 41% feeling that a PIN is required for larger transactions over an agreed limit and 28% feeling that a PIN is required only after a user-defined amount limit. 8% felt that security was most important and that a PIN should be used for all contactless transactions. 2019 EAST FCS Seminars – Save The Date! These events will be co-located with RBR’s ATM & Cyber Security 2019 event, although separate registration is required. EAST Executive Director Lachlan Gunn, representing the EAST Expert Group on ATM and ATS Physical Attacks (EAST EGAP), presented at a conference on the prevention of ATM physical attacks co-organised by the European Crime Prevention Network (EUCPN) and Europol. The event, attended by experts from law enforcement and the private sector, was held in Brussels on 22/23 January 2019. The focus of the conference was on the sharing of experiences, insights and best practices with a view to preventing these types of attack on ATMs. Of particular concern were explosive gas and solid explosive attacks. 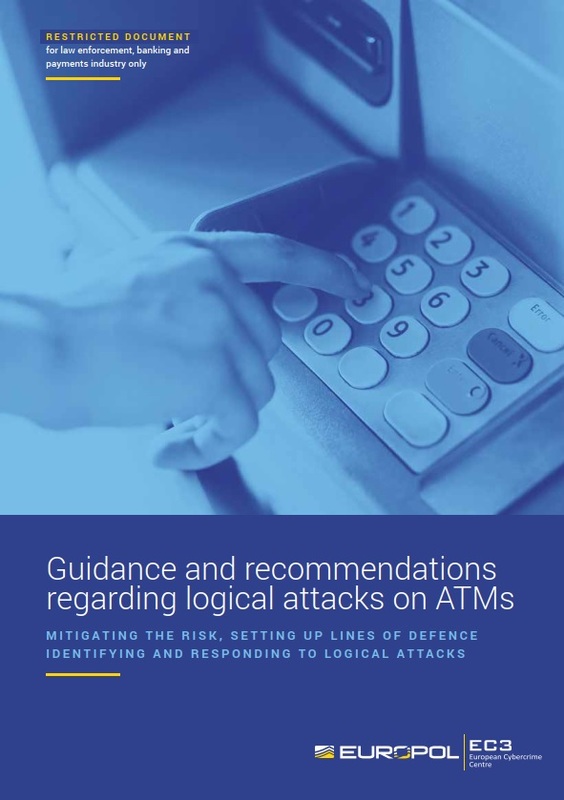 An overview of the current situation was built up and then in-depth workshops were held to consider ATM Physical Attack prevention before, during and after an attack. As a result of the conference the EUCPN and Europol will prepare a paper on the most effective measures that can be used to prevent or deter ATM Physical attacks. The original Guidelines were published in 2015 when law enforcement and the private sector came together to support the banking and payments industry. That report, the first of its kind, provided vendor-neutral guidance on countermeasures to such attacks, as well as a collection of indicators that could be used to detect when an incident may have occurred. This new version provides clearer definitions and greater clarity of the criminal methods and techniques encountered in these attacks, and more detailed recommendations on how to mount a robust and effective response to them. The 17th Meeting was chaired by Mr Otto de Jong and was attended by Europol and INTERPOL as well as by key representatives from Terminal Deployers, Terminal Vendors, Networks, Card Schemes, Security Equipment and Software Vendors and Forensic Analysts. EAST EGAF is a regional expert group that focuses on regional and global payment terminal crime and fraud related issues, threats and counter-measures. The Group, which meets three times a year in advance of each of the meetings of EAST National Members, enables in-depth and technical discussion to take place on Logical and Malware attacks, Card Skimming, Card Trapping, Cash Trapping and Transaction Reversal Fraud. In addition EAST EGAF generates EAST Fraud Alerts for all EAST Members (National and Associate). In total 204 EAST Fraud Alerts have been issued, 3 to date in 2019. EAST EGAF meetings are restricted to working group members and, to provide a wider platform for sharing/discussion, the Group is holding a half-day open seminar in London on 9th October 2019. Registration for this is now open and more information can be found on the EAST Events website. 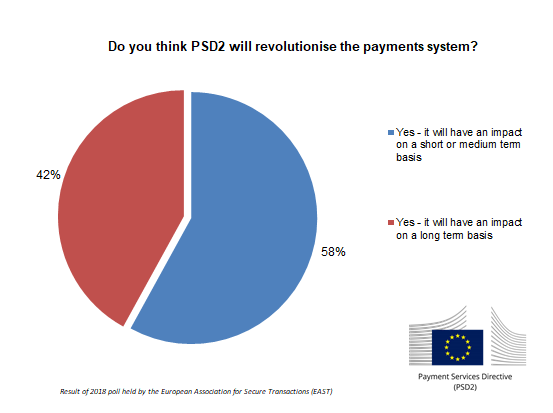 All respondents to an EAST Poll that ran from May to August 2018 felt that the new Payments Service Directive 2 (PSD2) will revolutionise the payments system. 58% felt that it would have an impact on a medium or shortt term basis and 42% felt that the impact would be on a long term basis. make cross-border European payment services safer. PSD2 is an EU Directive, administered by the European Commission (Directorate General Internal Market) to regulate payment services and payment service providers throughout the European Union (EU) and European Economic Area (EEA).